The techniques of Aikido are not new. On the contrary, they are based on ancient samurai wisdom perfected on the battlefield. 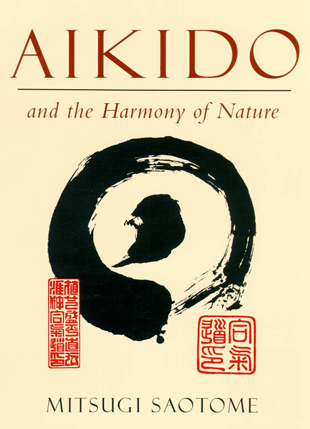 What distinguishes Aikido from other martial arts, however, is its unique philosophical component of compassion. Aikido's Founder Morihei Ueshiba, known as O' Sensei, dedicated his life to the study of Bujutsu and the practice of spiritual rituals to purify his mind. The combination of his intense physical and spiritual training ultimately gave birth to Aikido. ".. to better people's lives, make their spirit blossom and become strong and by making better people a better world" The Principles of Aikido - Mitsugi Saotome Shihan,. The strategy of Aikido is to enter (irimi) into the attack with body mind and spirit and unbalance the attacker with spiral movements. This is accomplished through the interaction of active (yang) and passive (ying) forces put into practice with precise offensive and defensive moves designed to neutralize the attack. Inmediately at the inception of conflict Aikido gives the practitioner a choice: to destroy life or to save life. Without Martial Arts training you will be a victim without choices. Please do not underestimate Aikido's ability to be lethal. Though Aikido gives options to its practitioners, its emphasis is to stop the danger. To accomplish this task, one must develop control, confidence, courage and an ability to trust. Central to Aikido's philosophy is the concept of Shobu. Shobu means wisdom. Wisdom comes from understanding, trusting, and seeing yourself clearly. Without this awareness you will never be able to control others for your own protection nor for the protection of those you love. "Aikido has but ONE principle : The universal reality of life. In their own nature as living human beings all possess the basic secret of Aikido. The purpose of Aikido is to better people's lives, to make their spirit blossom and become strong and by making better people to make a better world."